If you've been keeping up with recent skincare trends, you'd know that masking has become a very popular thing in the world of beauty. There's been innovation in the way you apply a face mask! From a clay mask to a bubble mask, a heating mask and finally a sheet mask, there's so much to choose from. Gone are the days where you'd wait weeks for that monthly facial appointment. Now all you need to do is hit your beauty stash and whip out a mask or two, depending on the amount of time you have at hand of course. While some of us take our masking-Sundays pretty seriously, a few of us just don't have the time for that. So whether you've dedicated an hour to self-love or you have just 5 minutes of me time, check out these instant face mask. We've sorted them for you depending on the amount of free time you have. 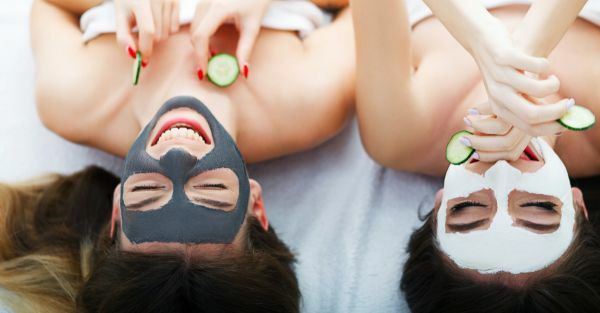 Quick Face Masks You Can Benefit From In a Jiffy! Be it one minute or 15, our list of quick face masks for glowing skin will have you looking fabulous in no time! So go ahead and get scrolling for the best instant face mask. This 1 minute- pore refining face mask will leave your skin feeling deeply cleansed from the inside out! On contact with your skin, the mud mask skin bursts into thousands of tiny oxygenating bubbles deep cleansing your skin while you take cute selfies. Pep-start you day with Clinique's bubble instant face mask. This bright and bubbly pink gel transforms into a blanket of tiny bubbles as soon as you apply it to your skin. 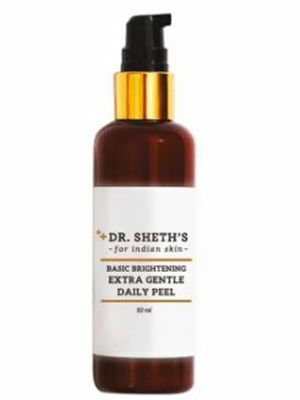 It lifts and deeply cleanses out any oil, debris, dust and pollution trapped inside your pores leaving your skin feeling fresh, smooth and clear. This purifying bubble sheet mask is perfect for an instant glam up. A quick face mask for glowing skin, it pep rushes your skin in just a minute, leaving behind skin that is squeaky clean, refreshed and rejuvenated! In a mood of some extra care? Just splash on some water and lather it up like a pro! This is a concentrated AHA and BHA solution in a serum form. If your pores are in need of some serious exfoliation, look no further! Apply a thin layer and leave it on for 5 minutes. This serum will exfoliate and brighten your skin while keeping your pores clean and gunk-free and reduce the appearance of fine lines and wrinkles. It's pretty heavy duty exfoliation, so if you have sensitive skin, give this one a pass. Don't forget to slather on sunscreen the next day ok? Got no time or money to buy a bunch of stuff? This 3 in 1 product can be used as a face wash, scrub and mask, and in my opinion, does it all equally effectively. Plus it's enriched with tea tree extracts to keep those pesky zits and blemishes at bay! We say that it’s the absolute best face mask for instant glowing skin! This cleansing mask warms up on contact with skin and due to the heat, deep cleanses your pores and absorbs any oil. Enriched with ginger extracts and kaolin clay, this one will leave you feeling squeaky clean. All you have to do is apply a generous layer to your face and leave it on for 5 minutes and massage in circular motions and wash off. Another K-beauty gem for anybody with problematic skin, this heating clay mask contains Jeju volcanic ash. In less than 5 minutes of application, it starts heating up and melting away all the impurities trapped under your skin leaving you feeling squeaky clean. 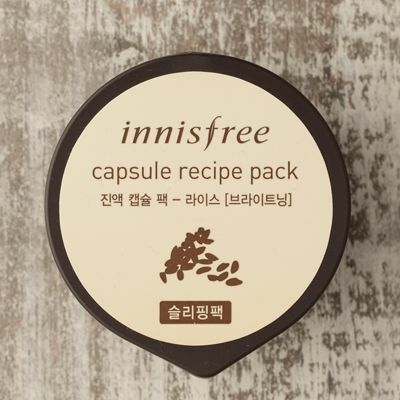 5 minutes are all you need to get the benefits of this powder instant face mask by Innisfree! Infused with green tea, this face mask moisturizes, smoothens, and cools your skin in a couple of minutes, thus prepping you to look your absolute best each day, every day! If you have a little more time on your hands, I would definitely recommend you try any of the face masks from Glamglow. This one is my favourite for days when my skin feels a little irritated and zitty. It's perfect for 'that time of the month'. It clears acne, blemishes and visibly reduces the size of your pores with each application. If you suffer from acne, you absolutely need to keep this little guy handy. Remember as children we used to apply glue on our hands and wait for it to dry just so we can peel it off? This face mask is just as satisfying and it's got charcoal extracts, so when you peel off the mask you're actually going to see everything that it pulled out of your pores. If you have whiteheads, blackheads and clogged pores, this one will pull the gunk right out of them. Be careful if you have facial hair though, peel off masks tend to pull out facial hair too and can be pretty painful. So, apply this to areas with little to no facial hair like your forehead, nose and chin! Save yourself the effort and money of going to the dermatologist to get a peel. This at-home treatment is so versatile and gentle that it can be used on your face or body. Use it as an overnight treatment or as a face mask for 10 minutes. The results are going to amaze you, bright, radiant skin at a fraction of the cost. 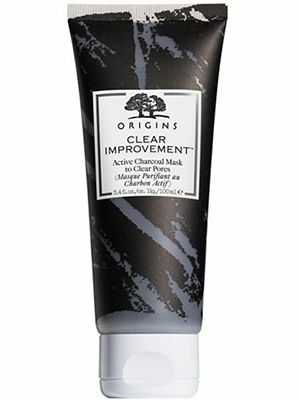 You can even use this on those pesky blemishes and leave it on overnight for gentle exfoliation. If you’re suffering from acne, then this quick face mask for glowing skin by Khadi is perfect for a 10-minute fix. Derived from mint, neem, and basil extracts, this face mask targets facial acne while also ridding it of excessive oils! On top of that, neem’s antiseptic properties also prevent your skin from breaking out into more acnes! Give your skin a detox with this charcoal infused clay mask. The mask helps clear your pores of any dirt oil and sweat clogging it up. Since the charcoal absorbs impurities from within your skin, it keeps acne, blemishes and blackheads and whiteheads at bay too. This is one of my personal favourite masks because it doesn't dry out the skin but still manages to leave it feeling absolutely squeaky clean! If I personally had the time, I'd sheet mask every day! A sheet mask is a perfect way to hydrate your skin quickly and leave it with that gorgeous glow. It is the perfect sheet mask for all skin types and it also has Vitamin C in it, which means it's going to hydrate and brighten your skin. Use it a day before an important event and see how bright and beautiful your skin looks the next morning. Another way to use sheet masks is before an important event where you plan to wear a lot of makeup. It's a quick and easy way to hydrate skin under makeup and a perfect face mask for instant glowing skin. This three-step sheet mask program from Innisfree is all you need to get rid of stubborn blackheads. Volcanic scoria, which is extremely rare and derived from Jeju island works wonders in removing deep-rooted blackheads. So if you’re in the mood for some skin pampering, then you should definitely try this one out! Lactic Acid is an AHA that exfoliates your skin to give you quick visible results. This lightweight serum works on improving your skin's texture, reducing pigmentation and promoting cell regeneration. You can leave it on overnight or use it as an overnight spot treatment. If you think your skin is too sensitive, try washing it off after 10 minutes and gradually build up to an overnight treatment. I'm sure you've heard of the multiple beauty benefits of applying rice powder and rice water on your face. This overnight mask combines the goodness of rice into a sleeping mask that helps you wake up to bright, rejuvenated, clear skin! The sleeping mask is tiny and extremely handy to throw into your purse especially when you go on vacation. While this is not a face mask per say, this is an overnight treatment that addresses dull, dehydrated skin. In just one use I bet you will fall in love with this sleeping mask. It's cloudy, lightweight texture literally hugs your skin in a blanket of hydration without making you feel sticky. It's gel-based so it's perfect to use in summer too. You will wake up to super glowy-hydrated skin every day. This overnight sleeping mask by Body Shop is infused with Edelweiss stem cells and is designed to nourish your face all night long. It has a memory foam complex that allows it to replenish your skin in a manner that will benefit it the most. The youth enhancing formula of this face mask will definitely give you a bouncier, younger looking skin! Now that you have our list of instant face masks for glowing skin, nothing will stop you from shining like the diva you truly are! This story was updated in February 2019.